ORLANDO -- A jury has found the wife of Orlando gunman Omar Mateen not guilty of aiding her husband in the deadly attack. 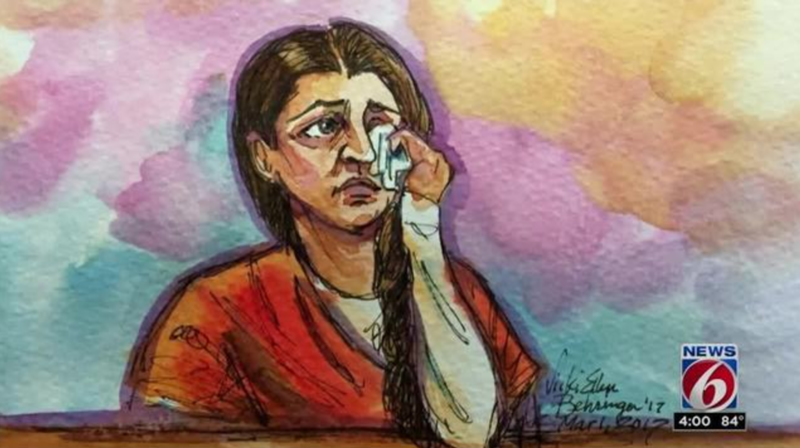 Noor Salman was accused of aiding and abetting the attempted provision and provision of material support to a foreign terrorist organization and obstructing justice in connection with her husband's attack on the Pulse nightclub. She was found not guilty of all charges. Salman's husband shot and killed 49 people in the nightclub in June 2016. Police killed him after the attack. Prosecutors say Salman knew about Mateen's plans and did nothing to stop them. Her lawyers say she had no knowledge of what he intended to do and was mentally and physically abused by him. They say she wasn't an Islamic extremist. The jury began deliberating at 1:42 p.m. Wednesday, following hours of closing statements from government prosecutors and defense attorneys that morning, reports CBS affiliate WKMG. They asked several questions about the charges Salman faced and closely examined the statement she made to the FBI in the hours after the attack. She had faced up to life in prison. There were no cameras in the federal courtroom. A reporter for WKMG said Salman cried as the verdict was read, as did her family. Families of the Pulse victims sat silent in the courtroom, the station reports. Some were seen outside the courtroom with tears in their eyes, hugging other family members of victims. A Salman family spokeswoman apologized to the survivors and victim's families outside the court. She said Salman is innocent and the family is elated at the verdict. She said Salman is looking forward to being reunited with her young son. "We're looking forward to taking my niece and hiring the best therapist for her, I don't know how she's going to make up for the last two years," her uncle Al Salman told reporters. He said the "only thing she has in her life is her son." Orlando police chief John Mina said in a statement released on Twitter he was grateful for the jury's hard work and deliberation. "Nothing can erase the pain we all feel about the senseless and brutal murders of 49 of our neighbors, friends, family members and loved ones," the statement said. Orange County Sheriff Jerry Demings said in a statement he is disappointed in the trial's outcome, but the victims and their families are "more disappointed." "This has been an emotional event for our community and many may feel that justice has not prevailed; however, the system of justice has spoken and we should look to the continued healing for the families and our entire community so this event will not define us," Demings said. Attorney Charles Swift argued there was no way Salman knew that Mateen would attack the Pulse nightclub because even he didn't know he would attack it until moments before the shooting. She claimed her husband didn't use the internet in their home, but he did. She told investigators that Mateen had deactivated his Facebook account in 2013, but they found that he had an account up until the month of the shooting — and was friends with his wife. She said her husband only had one gun when he had three, and that he wasn't radicalized.